On 28 Apr 2004, I visited the Mt. Calvary Cemetery at Raton. It was my first trip there. I tried to find as many of the people whose names I recognized. 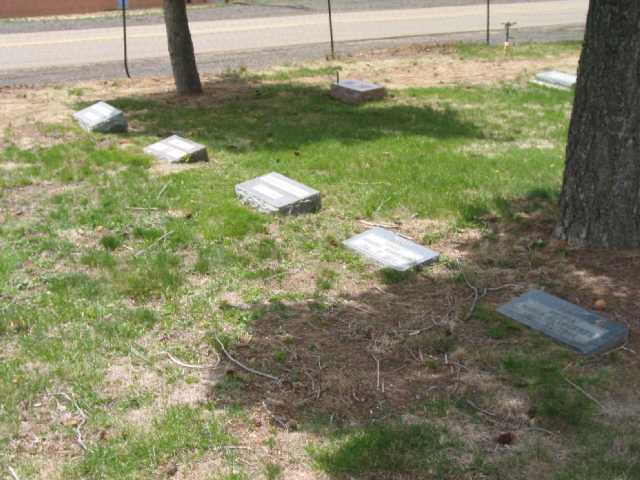 Here are photos of those tombstones. For a full report of the trip that Sally and I took to Santa Fe, Raton and Dawson, click here. 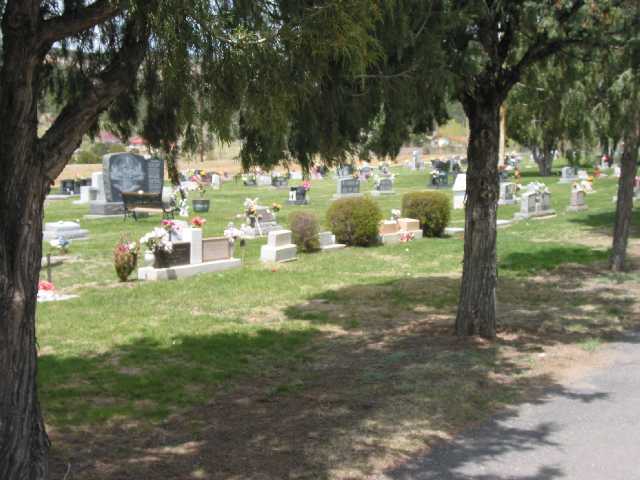 For the Dawson Cemetery visit, click here. 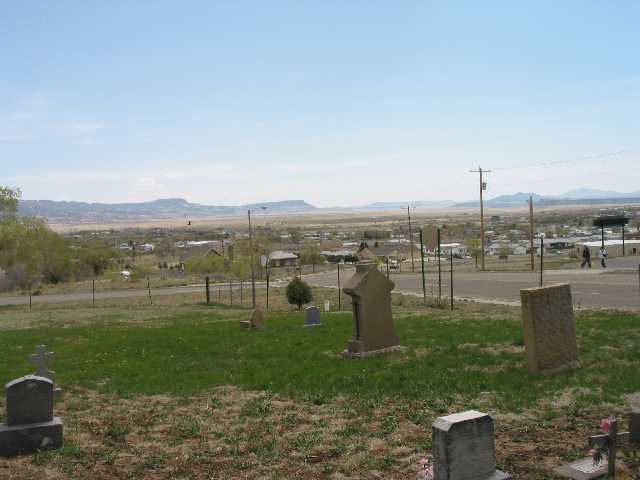 In Aug of 2008 during the Dawson Reunion, I had a second chance to visit the cemetery. I've added photos from that trip. The cemetery is well maintained and fenced. It is still in active use. The photos here have all been cropped and reduced in size. If you would like a CD with all the photos full size, let me know. 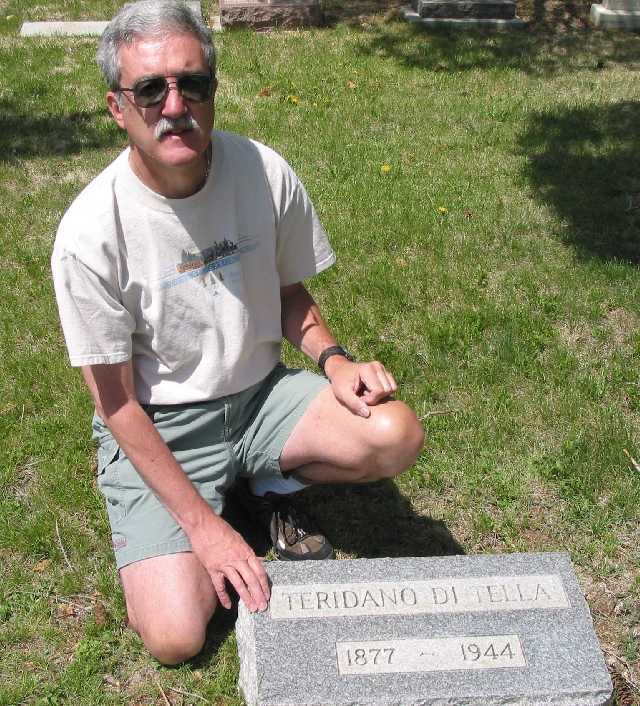 My great great uncle Teridano diTella. Teridano's descendents live in Italy. I am in contact with his grandson, Giuliano Colajanni. A photo of me at my great great uncle's grave. 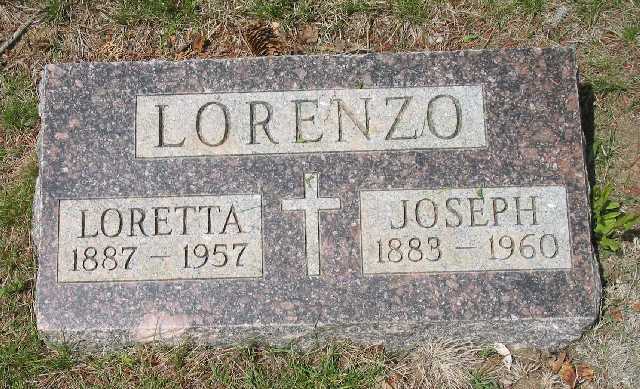 In a row right next to Teridano are buried members of the diLorenzo family. 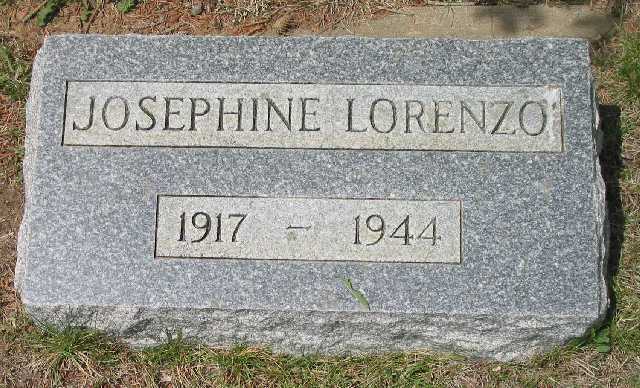 She died on 5 Feb 1944 just a few days before Teridano. 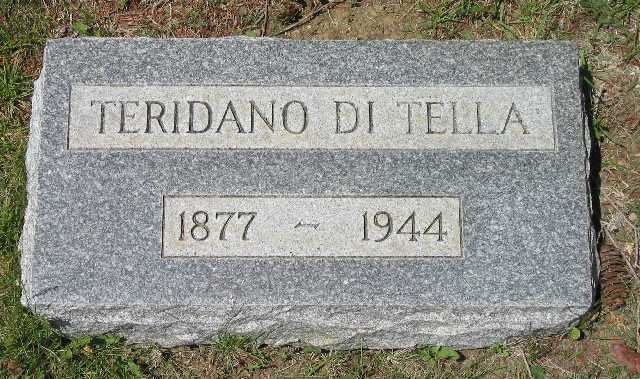 Notice that the lettering and the boxes on the tombstone are identical to Teridano's. Giuseppe was the brother of Domenico, Angela, Cristina, Carmine and Loreta. My grandfther, Emiliano Frazzini, when to the home of Carmine diLorenzo in Aurora, MN on his arrival in 1905. More on the Dawson Page. Then there was a row of Carlini graves along side of the entrance road. as a "Fatality at Dawson Mine 23 May 1935". 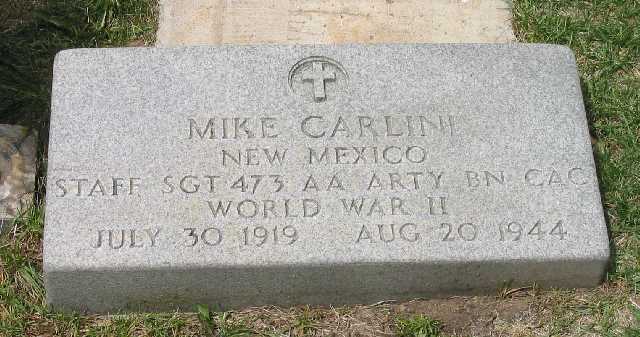 "Michael Carlini - Killed in France, buried there 8/20/44, born in Dawson, buried 9/18/44 #38124719, died of wounds 8/17/44, Staff Sgt." Born in Dawson, baptised in Trinidad, CO 1912. Married Flora Mae Kukuk 23 Dec 1949 (from records of St.John the Baptist Church). The records at St. John the Baptist Church in Dawson only go back to 1917. I have a copy of her 1942 death certificate. Mary died at the Dawson Hospital. She was born 18 Jan 1920. She worked as a stenographer at the chain grocery office in Dawson. 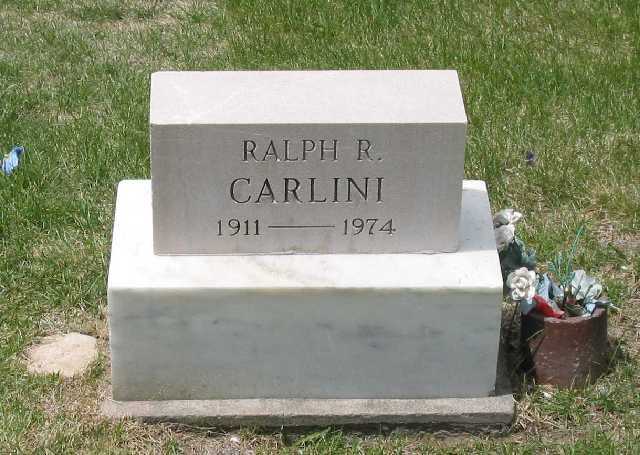 Death reported by Danny R Carlini, her brother. She lived in house #1205 in Dawson. Alfonso Carlini and Ermina Carlini (daughter of Carmine Carlini and Carmela diTella). 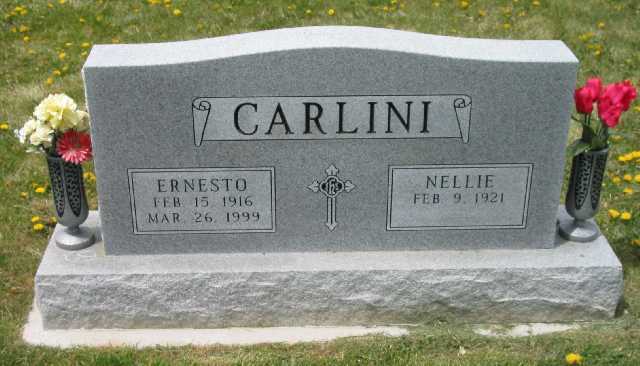 I don't know if or how Alfonso Carlini is related to other Carlini's families other than through this marriage. The marriage record from 19 Sep 1931 lists Alfonso's parents as Pietro Carlini and Filomena Colaizzi. Alfonso was born in San Pietro Avellana. 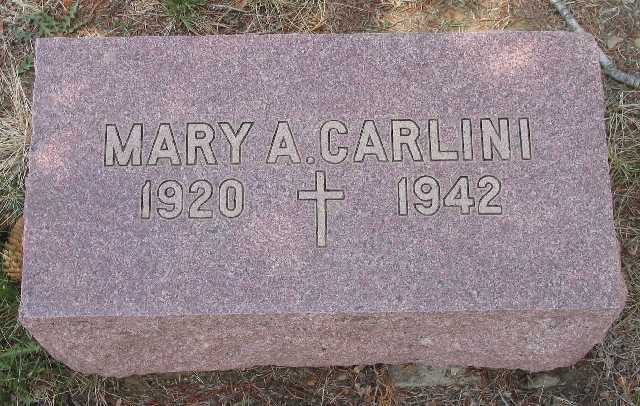 There is no date of death on her tombstone so I don't know if she is buried here. 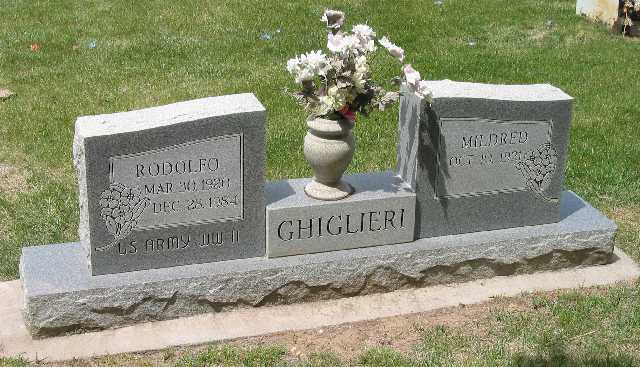 Mildred Carlini Ghiglieri died on 12 Sep 2009 and is now buried next to her husband. You can read her obituary in my family tree data base. I don't know how this Carmine fits in. 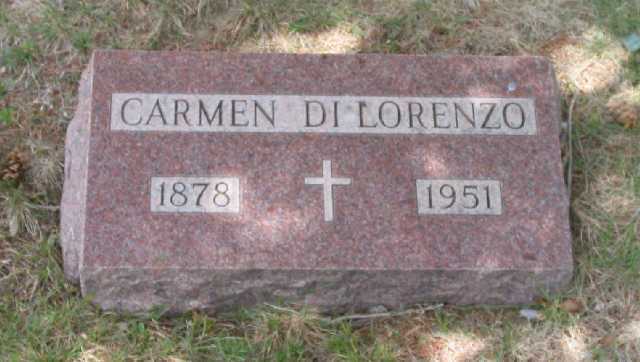 I don't think he is the Carmine diLorenzo that my grandfather went to live with in Aurora, MN in 1905. Ellis Island has a 1909 record for Carmine diLorenzo, 30y, going to Pueblo CO. The 1920 census shows a 33y old Carmino Lorenzo, wife Elisabetta and daughter Antonetta (born in Minnesota) in Routt CO (Carmino would have been born about 1887). This is the Carmine diLorenzo that my grandfather, Emiliano Frazzini, went to live with when he come over to Aurora, MN in 1905. The 1920 census shows a Carmine diLorenzo 29y, single, in Dawson (would have been born in 1891). 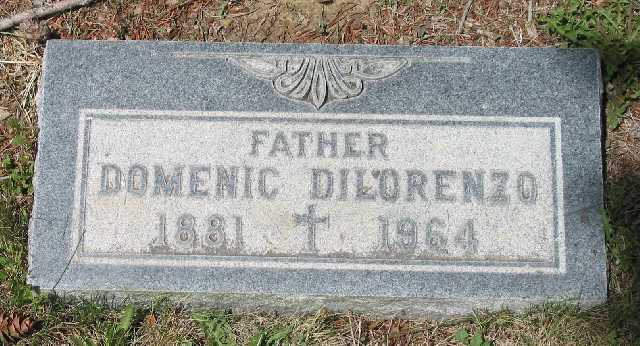 I have found that Carmine Antonio diLorenzo and I are 3rd cousins 2 times removed. 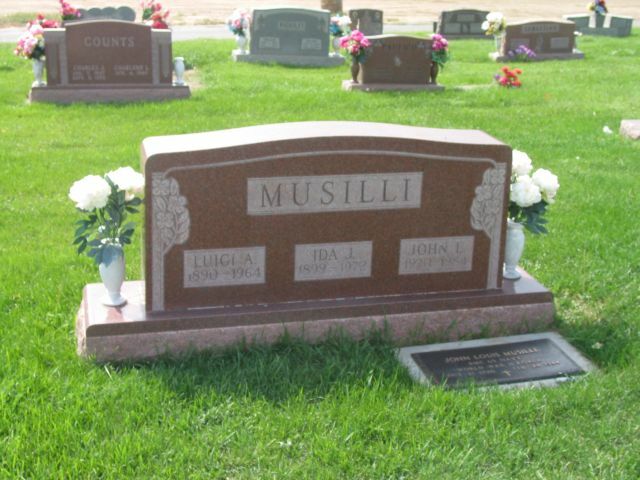 Our common ancestors are Michelangelo Carlino and Rosa Vincenza Morelli. Look at the family tree for details. I affirm that I have verified above answers and they are correct. 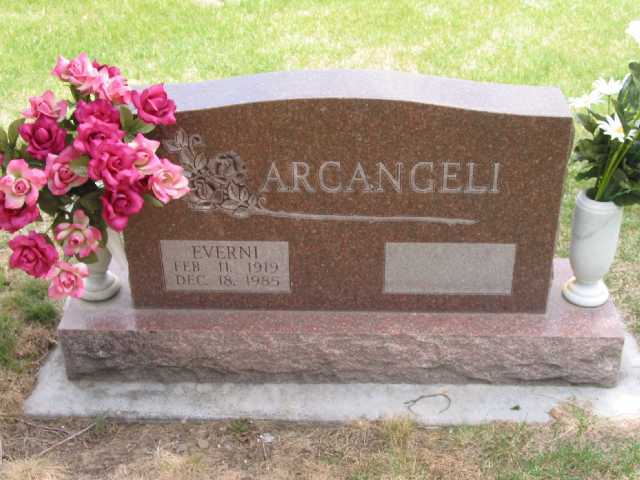 Everni Arcangeli who married Mary diLorenzo, daughter of Giuseppe and Loreta della Croce. (from the 1926 marriage record at St. John the Baptist Church in Dawson, NM). He married Florena (Florence?) 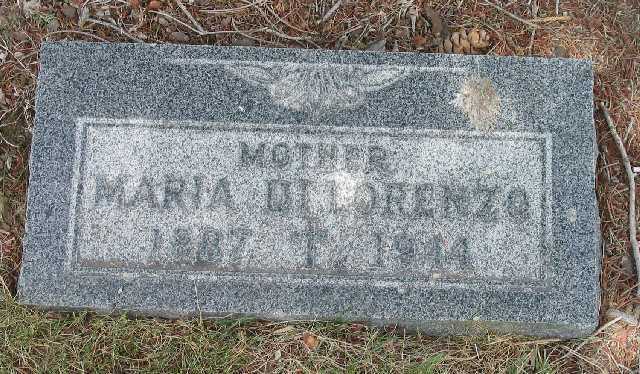 diLorenzo, daughter of Giuseppe diLorenzo and Loreta della Croce. He was the executor of the estate of my great granduncle Teridano diTella. 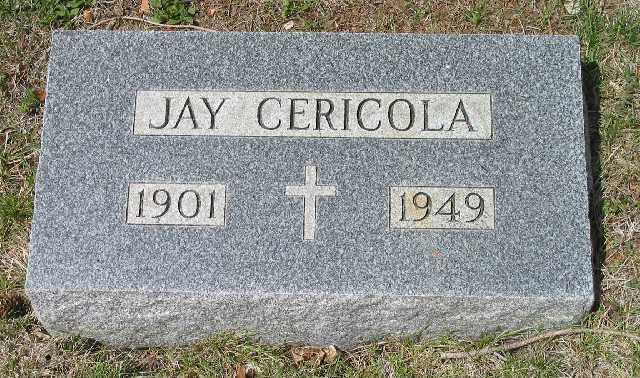 His wife remarried after his death and is buried in TX. Vincenzo "Jay" Cericola, first husband of Sabina diLorenzo, daughter of Domenico and Maria Colaianni. The Brandolino's were a big family in Dawson. They were not from San Pietro Avellana. I am pretty sure that they were from the town of Caramanico. 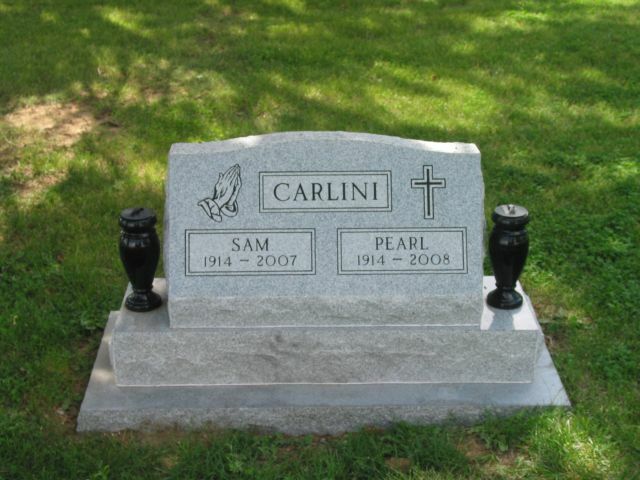 Sam Carlini (son of Carmine Carlini and Maria Carmina diTella) and Pearl diLorenzo (daughter of Domenico diLorenzo and Maria Antonia Colaianni). I never had a chance to meet them. At the 2008 Dawson Reunion, I met their three children, Gene, Janet and Richard. Born Amico Luigi Musilli in SPA 20 Mar 1890. Wife Iola Giovanna "Ida" Carlini, born 5 Sep 1899 in SPA. Ida is my 4C2R. She was the daughter of Donatangelo Antonio Carlino and Maria Cristina diMartino. Panorama View of Mt. Calvary Catholic Cemetery. Click on the image for a large (600Kb) version. Teridano diTella is buried under the large pine trees at the far right. 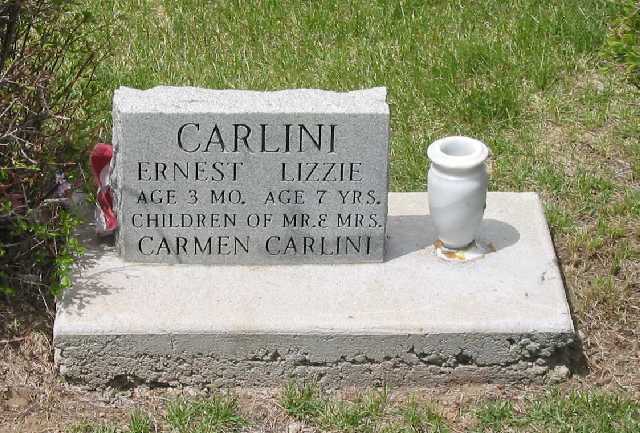 The Carlini's are buried straight ahead just past the entrance on the left side of the road. View of Raton, New Mexico from the Mt. Calvary Catholic Cemetery. Teridano diTella's grave is located on this end of the cemetery this is the view from his grave site. A gentle reminder, the spelling is Cemetery (there are no "a's").